Initially pegged to descend on Earth’s orbit in little over a month’s time, developer Hello Games has formally confirmed plans to postpone the release of No Man’s Sky to August 9 in North America. 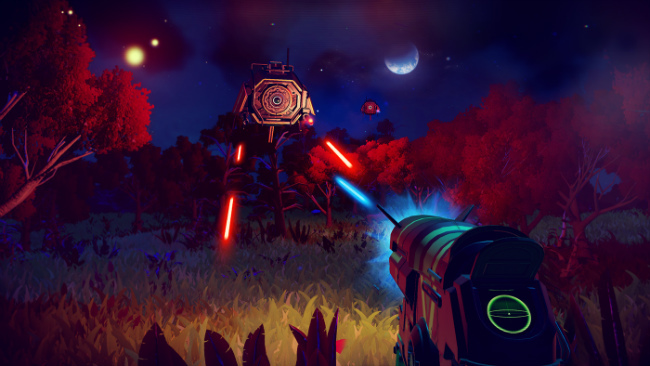 Word of the delay first surfaced over the weekend, when Studio Founder and Designer Sean Murray took to PlayStation Blog to offer a status report on the new IP, revealing that as the team approached the original deadline of June 21, it became readily apparent that No Man’s Sky was in need of “extra polish” to bring it closer to internal standards. The game really has come together, and it’s such an incredible relief. As we sit an play it now, and as I watch playtesters every day, I can finally let myself get excited. We’re actually doing this. However, as we approached our final deadlines, we realized that some key moments needed extra polish to bring them up to our standards. I have had to make the tough choice to delay the game for a few weeks to allow us to deliver something special. After a short delay, No Man’s Sky will launch in North America on August 9, in Europe August 10, and in the UK August 12. Reports of the delay first surfaced early last week, when a Kotaku article accurately uncovered the new, late-summer date in question. News of the postponement was the cause of much debate online, including some deplorable remarks being directed at Sean Murray and the team at Hello Games. In light of the news, No Man’s Sky will now launch across PlayStation 4 and PC on August 9 in North America. Those in Europe and the UK can expected Hello Games’ hotly-anticipated release to arrive on August 10 and August 12, respectively.